After lunch at Frankenmuth Brewery and picking up some fabulous Christmas ornaments at Bronner’s CHRISTmas Wonderland, J, L, and I headed back downtown to kill a little more time before checking in to our hotel. We actually thought L would fall asleep in J’s Boba Carrier, but that didn’t happen. We actually ended up walking all the way from the Bavarian Inn back to Frankenmuth Brewery…burning off some of the calories we were about to eat. 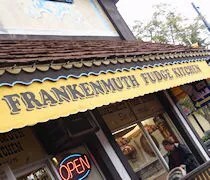 After heading back south on Main Street, we finally came to the Frankenmuth Fudge Kitchen. We could smell the chocolately goodness from across the street, but decided to make ourselves wait until we walked past it. The retro candy shop is full of fudge. No kidding. There’s a huge selection. There are displays cases that run along two walls of the small building and none of the flavors are repeated. She finally settled on the Pumpkin Fudge. We each got a slice and the employee tried to talk us in to another slice which would have gotten us yet another slice free. Tempting….very tempting, but we didn’t need that much fudge. While the two slices were wrapped and boxed up, J took L over to the kitchen area where two men were making even more fudge. L was kind of in a trance watching them work. The two slices were just a little over $14. We were both pretty good and didn’t immediately break the box open. In fact, we waited quite a while, but once we did, it was hard to put it down. J said the pumpkin fudge tasted like pumpkin. No surprises…just good pumpkin fudge. The Peanut Butter Cup fudge was mostly peanut butter fudge with a little chocolate mixed in and some chocolate chips to top it off. Needless to say, I had to share a little bit with J. 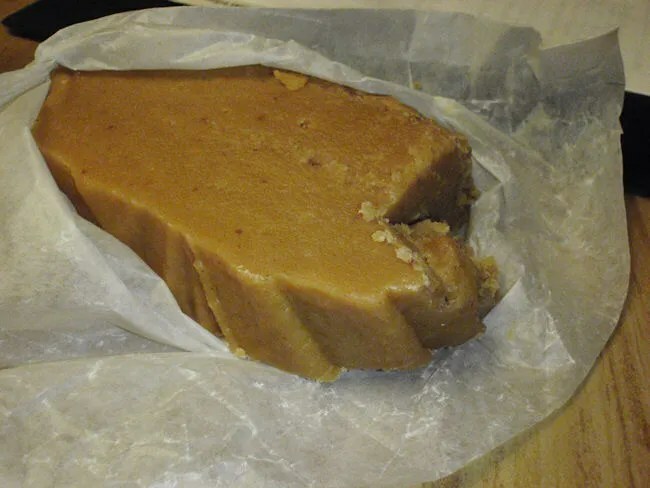 It was incredibly delicious and better than the typical peanut butter fudge. 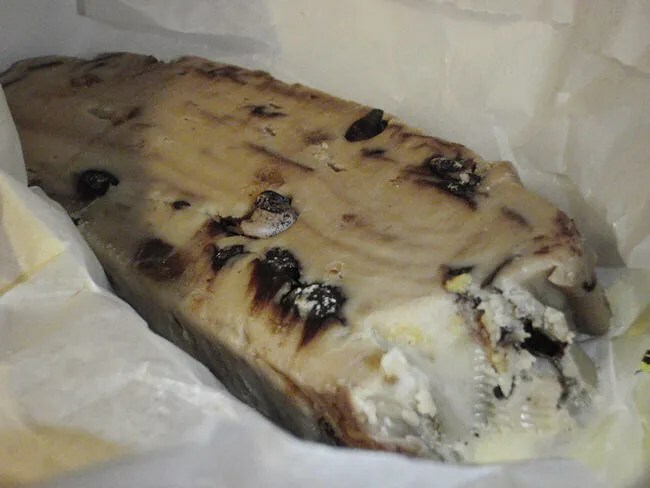 I’ve always loved fudge and rave on and on about Mackinac Island fudge shops. 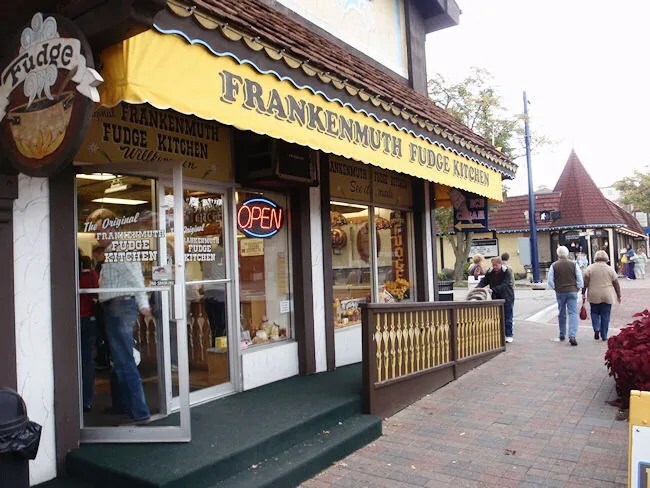 Frankenmuth Fudge has been in downtown since 1964 and has a few other locations (under other names). Our two slices were heavenly. The perfect ending to a great night in this little tourist hamlet.